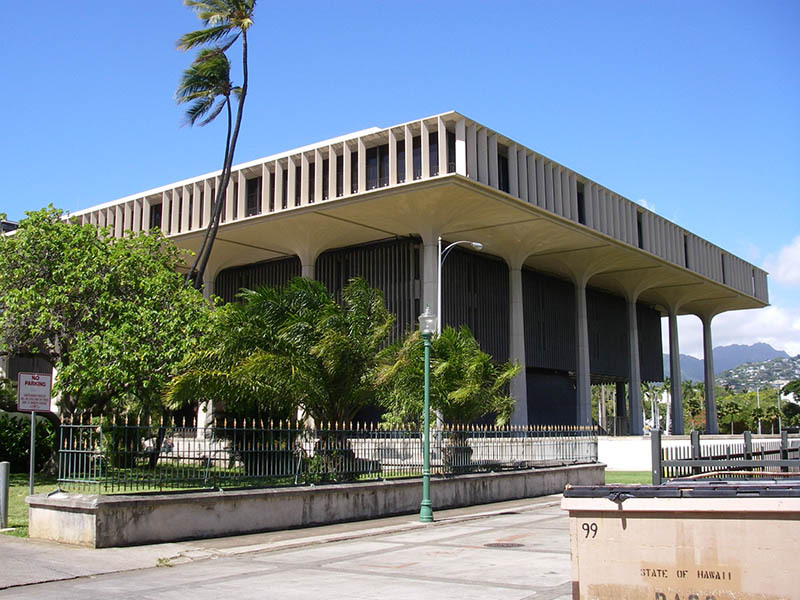 The third aquarium bill is, along with HB 511, pending introduction in the Hawaii Legislature, bringing the total number of aquarium-related bills in play for 2015 to three. House Bill 606 would establishes a 10-year moratorium on the taking of aquarium fishes. It would also provide assistance, training, and related employment services to workers dislocated by the moratorium. Representatives Cindy Evans, Nicole Lowen, Angus McKelvey, Mark Nakashima, Joy San Buenaventura, and Justin Woodson are introducing HB 606 in the House. Evans, Lowen, Nakashima and Joy San Buenaventura are also introducing HB 511, a bill that would, in part, prohibit harassment of the same aquarium fishers who would be out of a job if HB 606 passes. Unlike other aquarium fishery-related bills introduced or pending introduction this year, HB 606 presents some rationale in the language of the bill for why the Representatives think such a bill is necessary. Every year, aquatic life is collected on Hawaii’s coral reefs and shipped to the mainland United States, Europe, and Asia for use in hobby aquariums. Currently, there are approximately three hundred total permits, commercial and recreational, to take aquarium fish. Because aquarium fish collectors are highly selective and often capture large quantities of individual fish of high value, the potential for over-exploitation is high. Many coral reef fish and invertebrates have complex relationships with the overall ecology of the reef. Their removal may affect the long-term stability of these ecosystems. Significant population declines and major shifts in species diversity are now evident in coral reef areas where collection is occurring. In response to “the potential for over-exploitation” and the “significant population declines and major shifts in species diversity,” HB 606 would establish a ten year moratorium on the taking of aquarium fishes. As such, if the Bill passes, the Hawaii aquarium fishery would close until 30 June 2025, making it the second bill introduced this season that would effectively close the aquarium fishery in Hawaii. State aquatic biologists maintain that, especially with the passage of a multistakeholder rules package regarding the State’s largest aquarium fishery in West Hawaii, the resource is not currently being over-exploited or overfished. Further, fisheries managers say the fishery is one of the best–if not the best–studied inshore fisheries in Hawaii. As Dr. William Walsh, Hawaii Department of Land and Natural Resources (DLNR) Division of Aquatic Resources (DAR) Aquatic Biologist said to me once while on assignment diving in the West Hawaii Regional Fisheries Management Area, “We have a pretty good idea what’s going on out there.” Dr. Walsh has been studying the West Hawaii fishery since the 1970s, and he believes the State can manage the fishery appropriately based on data–something that can’t be said of all Hawaiian fisheries. Despite the data suggesting sustainability of the fishery, anti-aquarium fishery activists continue to push for the closure of the fishery. In most of those cases, the argument for closing the fishery comes down to an ethical argument about the aquarium hobby, not an argument about peer-reviewed data showing unsustainability. HB 606, on the other hand, proposes to close the fishery based on concerns of over-exploitation, population declines and long-term ecosystem stability. The rationale behind the Bill should provide an excellent opportunity for state legislators to again look at the data. In addition to establishing the ten-year moratorium on aquarium fishing in the state of Hawaii, HB 606 would “provide assistance, training, and related employment services under the dislocated workers program…to workers dislocated by the moratorium…provided that the worker’s primary source of income is the taking of aquarium fish.” Funding for assistance, training, and related employment services may come from federal funds available to the Hawaii Department of Labor and Industrial Relations. There are currently three bills introduced or pending introduction in the 2015 legislative session. The bill cutoff date is not until next Thursday (29 January), and more aquarium fishery-related bills may be introduced before the deadline. Currently, two of the three bills (HB 606 and SB 322) would shutdown the aquarium fishery, while HB 511 would provide a mechanisms for marine fishers, including aquarium fishers, to address issues of alleged harassment while fishing. After a bill is introduced, it will be referred to a committee or jointly refereed to more than one committee. Stay informed about about the status of these bills and how interested parties can submit testimony by subscribing to The Good Catch Blog, liking The Good Catch Blog Facebook page or signing-up for the CORAL Magazine electronic newsletter and subscribing to the digital or print magazine.